Help! 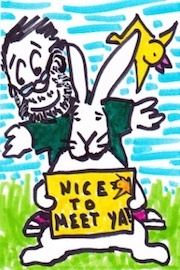 I need a doodle to commemorate a special event! Equation Arts > doodle art > Help I need a doodle! > Help! 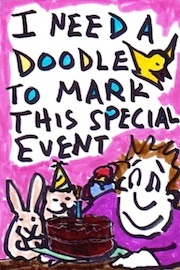 I need a doodle to commemorate a special event! What event do you wish to commemorate? What's the mood of the event? Is there a VIP or VIPs? If so, who are they? What's a memorable word or phrase from the event? What colors do you associate with the event? Do you have a special or funny moment you remember from the event? The next step is to click "Wicked Cool!" which will send this info to me and bring you to the page where you select the size of your doodle and then it is checkout time. Maybe 'I do' or 'wicked cool'?